Like snowy ornaments on a frosted Christmas tree, mulled wine is one of those European festive traditions which is a little out of place on a hot Australian December 25th. 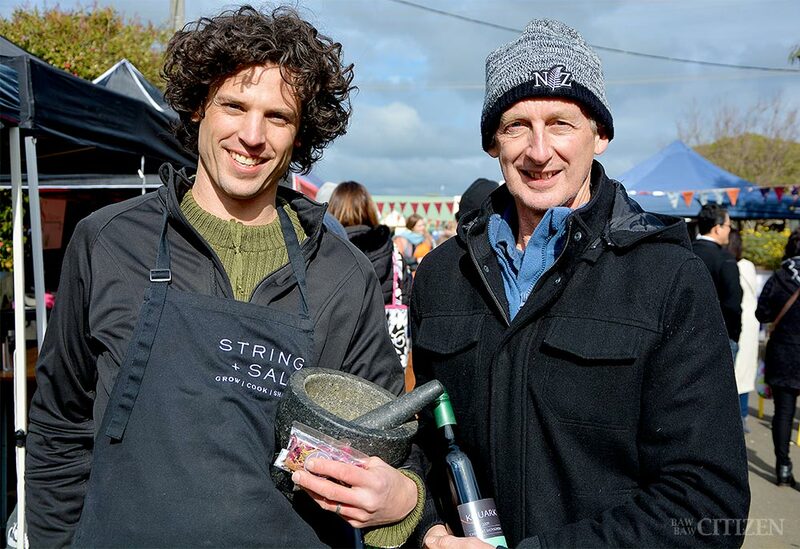 Image: Dave Cann from String + Salt with Kouark Winery’s Phil Gray at Warragul Farmers’ Market. Image: author. But we’re not complaining, especially not after this advice from String + Salt’s Dave Cann at a winter Warragul Farmers’ Market. “Mulled wine is spices, generally a bit of sweetness, and red wine,” Dave explained. “Every region has its own take on that. Scandinavians have glugg, which might have a little bit more of a cardamom aspect. Germans have glühwein, which will tend to have more citrus. The English have mulled wine, which tends to be a little sweeter. “It all just comes down to the base spices. “Generally your base spices would [include] cinnamon, star anise, cloves, and then from there what you add is really up to you. “You can go with things like orange and orange segments and lemon peel, or you can go with cardamom and even juniper and stuff like that to really give it a boost. “But you don’t want to overdo your spices. “Once you have your spice mix sorted out, you put that into your red wine in a pot and sweeten to taste. Generally you’ll go with between 40g and 60g of sugar per bottle, but it’s up to you. “Then you bring it very, very slowly up to a gentle roll. You don’t want a simmer because a simmer will lose your alcohol, so you’re just bringing it up so it’s just gently rolling. What are your favourite festive and summer recipes? Let us know in the comments below to share with our readers! This article was first published in the 8 December 2017 edition of the Baw Baw Citizen. Get your copy free from retailers across Baw Baw today!